As part of the Club’s on-going efforts to deliver leading programs to our athletes and offer professional development for our coaches we have planned an information session and introduction to Kyle Paquette’s mental skills/performance curriculum for the 2013-2014 season. Kyle will be providing you more information in a separate email. The curriculum was designed by Kyle specifically for the Club with the intention of training mental skills on court and not only in the traditional classroom setting hence all coaches’ participation is critical. 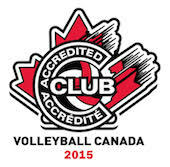 Kyle is working with Curling Canada as their mental skills/performance coach and in the sport of volleyball with the Durham Attack Club. We’re lucky to have Kyle join us this year as his unique approach and experience as a professional golfer, allows him to engage with coaches and athletes almost instantly. The Club is requesting that all coaches attend the session assigned to their age group and if they can not attend at the allotted time that they make every attempt to attend the other time slot. Location:Louis Riel, meeting room signs will be posted. There will be a coaches’ information session starting at 1:15PM (cross over) where the Club will go over the administrative items for tryouts and for the upcoming season. We will also be sizing coaches for Adidas coaches’ golf shirts (paid by the Club) and the Club will offer other coaches’ optional clothing at a cost to the coaches. Please RSVP to john@maverickvolleyball.ca with your name and the age and gender you will be coaching this season along with which session you will be attending.